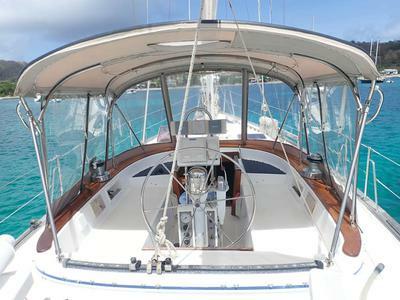 This boat has served us well for 13 years and we named her Beach House..
Thirteen years of enjoying a comfortable, spacious live-a-board cruiser and the Eastern Caribbean. With a centre line queen bed aft and full headroom throughout, we have had a wonderful time. It’s now time for somebody else to enjoy this boat. Stepping down from the centre cockpit lands you in a spacious salon with settee seats both sides and a large table with fold down leaves in the centre. 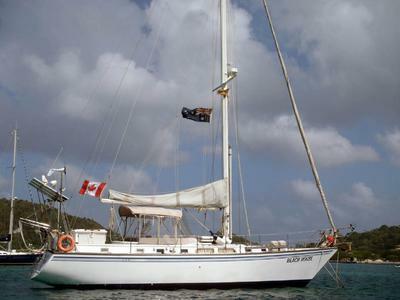 To starboardd is the nav station with the electrical panel and radios. Turning to the port you see the galley between the salon and aft cabin. 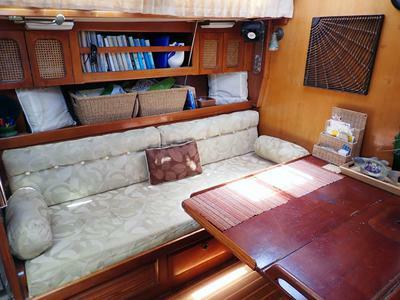 The galley is equipped with a fridge and small freezer, double sinks and a 3 burner Force 10 stove with oven. Above the counter are 3 cupboards. Behind the galley, below the cockpit is the spacious engine room with access all 4 sides. 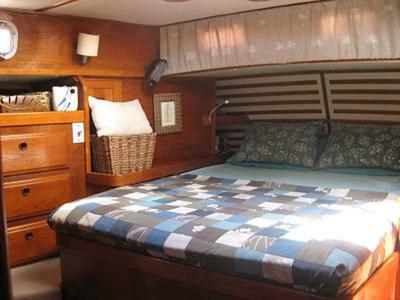 The aft cabin has a centre line queen bed with 2 hanging closets, 6 drawers, a full length mirror and seats for dressing. 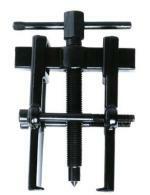 The aft head has a Jabsco head. The shower area is now a tool and spares storage area. Going forward from the Salon, there is a large hanging locker currently used as a pantry. To the port is the forward head. There is plenty of room to stand and turn around and adjacent is the forward shower. Then forward again to the guest cabin (V-berth) with drawers, hanging locker. Holding Tank: 30 gal (currently disconnected) and macerator. 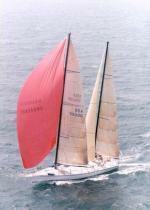 Winches: Lewmar 30 on mast, Jib sheet winches Lewmar 48 – 2 speed self tailing. 120VAC outlets & Lighting throughout. 2 Dock boxes mounted aft for storage. Plates, cutlery, glasses, mugs and tools and spares. NOTE - Personal effects will be removed.